What Is The Best Soundbar Under 200 Dollars? We did the research and took our time evaluating dozens of models before ultimately determining that the best soundbar under 200 dollars is SB3621n-F8M by VIZIO. Our team chose this Amazon-exclusive model as the Editor's Choice due the attractive design, competitive specifications (2.1 channel and DTS Virtual: X support) and most importantly, stellar performance. If the LG model doesn't suit your needs, our second runner-up choice is the LG's SK5Y 2.1 channel 360W soundbar. The SK5Y is priced higher than our top VIZIO pick, but it offers 24-bit upsampling as well as the ability to upgrade to 5.1 surround sound via optional add-on speakers at a later date. Our top recommendation for those on a tight budget and are looking for a soundbar in the $100-$200 range would be VIZIO's SB2821-D6 which sells for just under $130. While it ditches some of the bells and whistles of its older, larger VIZIO sibling, it still harnesses a 2.1 channel design with a dedicated subwoofer and up to 95dB of sound output. Coming from a reputable brand like VIZIO, the SB3621n-F8m offers a competitive form, features and function. Price similarly to the LG SK5Y, this model from VIZIO is the best soundbar that the brand offers while remaining under a $200 budget. This is an Amazon-exclusive model that supports the DTS Virtual: X technology. 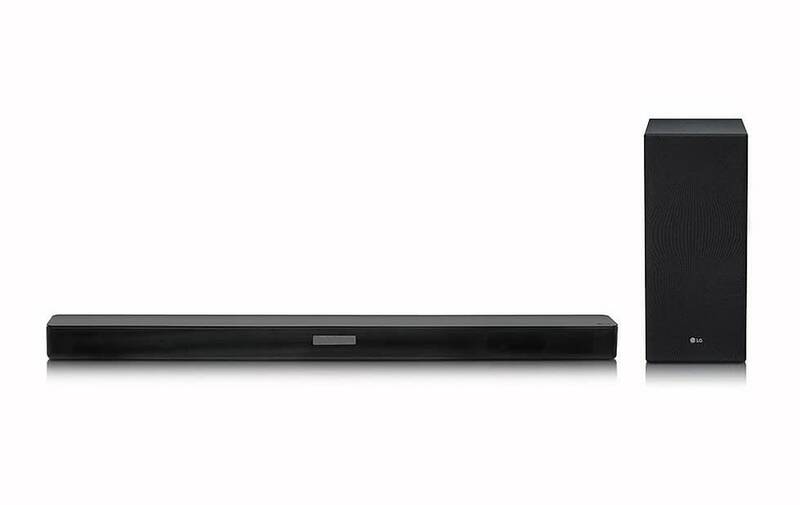 A high-resolution soundbar from LG offering DTS Virtual: X support and 24-bit quality/upsampling. LG is one of the most reputable names in the home theater and entertainment industry. Their SK5Y soundbar offers a sleek design, attractive feature-set and excellent performance all while remaining under a budget of $200. 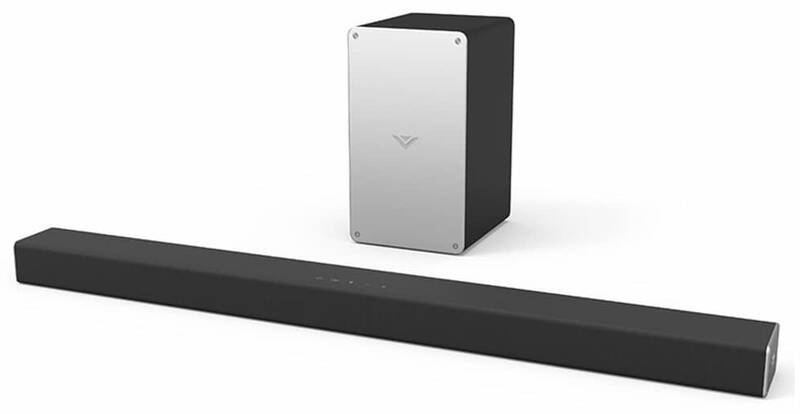 A smaller and more compact soundbar from VIZIO with less features for a cheaper price. TheTechReviewer's content is user-supported through limited display advertising and some use of affiliate offers with reputable retailers which may earn us a small commission. Rest assured, integrity is and will always remain our top priority. If you came acrosse this guide through Google or another source then you are in search of the best soundbar under 200 dollars. You have come to the right place as this buyer’s guide will offer advanced knowledge about the soundbar and home entertainment industry. We will cover several valuable elements to consider when browsing the best soundbars under 200. This includes reasons to invest in a soundbar, which features to look for and give a run down of each of our recommended soundbars models. Some of you may finish reading this article and find yourself with an outlying question or concern before making a soundbar purchase. You can leave us a comment at the end of this article and we will do our best to help address your situation in a timely manner with helpful advice or answers. Why Purchase A Soundbar Over Using Native TV Speakers? More television manufacturers are making their latest TVs thinner and sleeker. This looks pleasing, but is a disadvantage for audio performance. With a thin profile and chassis surrounding the TV panel, there isn't the room there used to be. This means you won't have large, high-quality speakers built into these models. By adding a soundbar to your home theater, you gain the ability to harness the performance of larger, better speakers. All of the models in this guide offer a 2.1 channel setup. This means they either have a dedicated subwoofer that is separate from the soundbar or use a subwoofer(s) that is built into the design itself. This type of hardware will allow you to watch your favorite movies, tv shows or video games with improved audio performance. This includes deeper bass, directional audio, optimal vocal clarity and often higher levels of adjustable equalization for tuning the sound to your desired preference. As a general rule of thumb, the best soundbars in terms of performance will be more expensive. Yet, some cheap soundbars can manage keep up with the best of them. In a case like this, they are likely built with cheaper materials that may not be as appealing or be built to last. The primary purpose of buying a soundbar under $200 will be for use with your television. These models have a convenient secondary purpose as well for most users. In technological world that we live in today, most of you probably listen to music, podcasts or ebooks on. Since these soundbars all have built-in Bluetooth technology, you can connect a mobile device or computer. This allows you to reap the benefits of improved audio performance while listening to your favorite audio content. Often these soundbars will be mounted in a primary location in your home that is often occupied such as a living room or basement. This adds the convenience of having a powerful Bluetooth speaker at your disposal for parties or just general listening. Some of you may want to buy a soundbar not only for the incredible audio performance benefits, but to better complete your home theater setup. Many of you reading this have invested in a newer HD or 4K TV that is thin, elegant and made to capture some attention. It is no secret that the form-factor of these televisions are often quite appealing. Unfortunately, the performance of their built-in speakers often struggle to match the amazing picture quality these modern televisions are capable of. By choosing one of the soundbars listed within this under $200 budget guide, you'll improve both the form and function of your home theater system. These sleek soundbars can be placed on an existing TV stand or mounted under your television to complete the home theater look. This allows you to match the stellar visual experience with improved audio performance. Fortunately, we are going to cover the most popular features, specifications and buzzwords used within the soundbar industry and sum up the important things you need to know before you make a purchase. An obvious attribute to consider is brand or manufacturer behind the soundbar model in question. The brand is important because it will help determine things like the average quality of their product, support channels and warranty coverage. All of the models we listed within this guide will be from reputable, well-known companies in the home entertainment of audio industry so you shouldn't have much to worry in this regard. However, you can find knock-off or miscellaneous foreign brands on places like Amazon or eBay that promise high-specs for a low cost. While they may work, you do run a serious risk of longevity and potential warranty trouble if it ever malfunctions. Another pretty self-explanatory aspect to consider is your overall budget. While most of you will have a max budget of $200 for purchasing a soundbar, the best models found within the $100 to $200 price-range differ fairly greatly in both cost and feature-set. The models like the VIZIO SB2821-D6 which falls closer to the $100 mark than the $200 mark offers a smaller design and less features than our Editor's Choice, the VIZIO's higher-end SB3621N-F8M. Our best soundbar choice costs almost $200 but comes includes the bells and whistles like support for DTS Digital: X. The size of the soundbar is something you'll often see referenced within the product page or marketing materials, but we don't think it is a crucial element to consider. While it is true that a larger soundbar size may offer more or larger speaker drivers which provides greater sound potential, but this isn't always the case. Some people like to match the size of their television to a comparable soundbar, but this isn't a necessity. We suggest measuring your potential TV stand or wall mounting scenario more than the TV size as this is a far more critical cause of concern to ensure that your desired placement environment will be adequate to support your soundbar size. 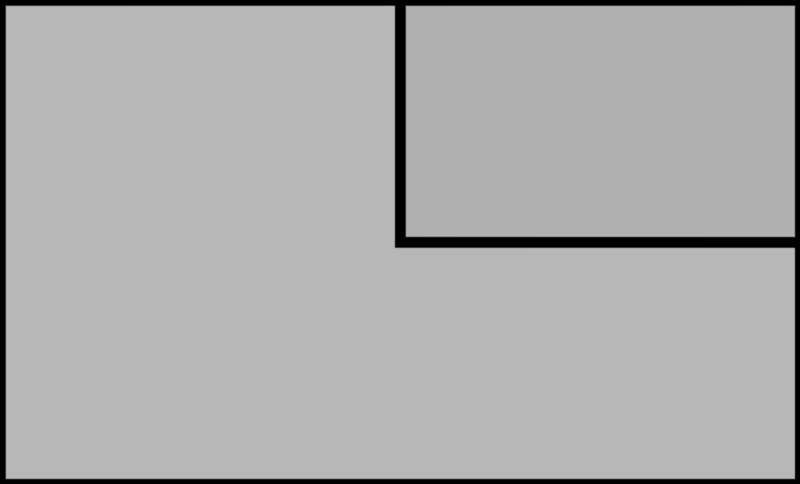 This refers to the number of individual surround sound channels that the soundbar supports. At this $200 price-point, you are going to primarily see 2.1 channel soundbars which means that there are two stereo speakers representing a front channel plus a subwoofer for added base performance. There will be no external speakers for the rear like in a 5.1 surround sound, but some models like the LG SK5Y offer the ability to purchase additional wireless speakers to upgrade to 5.1 down the line for an extra cost. A common term that is used as a marketing ploy by entertainment manufacturers is the measurement of power typically coming from an amplifier to the unit. The wattage doesn't necessarily have any correlation to the quality of the speakers. The sensitivity of the speakers is much more important than the wattage (much like how a camera sensor sensitivity and performance is more important than the sheer number of megapixels). Not all manufacturer's will provide information on the wattage, but it is more of a vanity metric than an important one. Some studies have shown that every time you double the wattage of a speaker, the volume of these speakers will only increase by 3dB. You'll often see manufacturer's refer to the loudness or sensitivity of a soundbar which often is measured and marketed by the decibel level (dB). 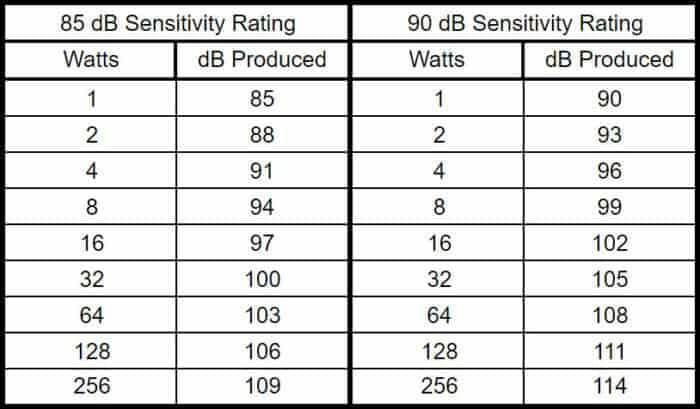 What this sensitivity determines is how efficiently the soundbar can convert the power or wattage into the output volume (measured in dB). This sensitivity or loudness will sometimes be referred to as the sound pressure level. An example of how small extra wattage affects the overall volume. Miscellaneous examples of how loud certain everyday situations can be for reference. Most of the models within this buyer's guide will have a sound output or loudness around 100dB which is equivalent to a motorcycle (and far loud enough for most household viewing situations). Keep in mind, some manufacturers won't disclose any indication of sensitivity or volume output in decibel form, but they should fall in line with the 100dB range of its competition. An attribute that refers to the number of speakers built within the internal array of the sound bar. However, this metric isn't all that important as more speakers isn't necessarily better than fewer speakers that are of a higher quality. Keep in mind, more speakers doesn't directly equate to more channels. In a case where there are more than two speakers in the design such as with Polk's Signa S2 model which harnesses 4 speakers, they are pairing two speakers for both the left and right channels which doesn't always mean the best performance. Whether or not a 2.1 channel soundbar integrates their sub internally or via dedicated external subwoofer should provide a good indication of the potential bass output. Like any other audio component, the actual quality of the subwoofer will matter more than the size. In the case of an internal subwoofer integrated within a $200 soundbar, the lack of space will often result in a smaller, less powerful subwoofer than one that can be larger and integrated into its own box thus producing superior bass performance. From our testing the best soundbar under $200, will offer a dedicated external subwoofer. However, there are plenty of worthwhile soundbars in this price-range that have an integrated subwoofer built within. A wireless technology that you have probably already used before for supplying audio signals from a smartphone, tablet or computer to your car or external speaker. All of the 200 dollar soundbars on this list will offer some form of support for playing audio over their native Bluetooth connection. This is best for those looking to use their soundbar for use outside of what they are watching on their TV such as playing music, podcasts or audiobooks from their mobile device or computer. In some select cases, you can pair your television with a soundbar via Bluetooth, but this will only be available with some compatible TVs/soundbars combinations (often only with models from the same manufacturer). A optical audio cable is a wired connection format which is one of the most commonly used methods for transmitting digital audio at lower price-points. References a digital coaxial connection which has an RCA connection at the end of the cable. This is most commonly associated and plugged into the orange output on your source receiver or device. One of the most popular audio connections for mobile devices and computers. However, it is quickly disappearing on many modern mobile devices such as Apple's latest iPhones. An older, more traditional form of connection used to transport both audio and video signals via three connections (most commonly seen as yellow, red and white). While you most likely associate an HDMI connection with video more than audio, an HDMI ARC port is widely supported in modern televisions, soundbars and receivers as of the introduction of HDMI 1.4 as a standard back in 2009. ARC stands for “audio return channel” and this means you can connect your TV to your soundbar via a single HDMI cable which can simplify the number of cables needed (no dedicated audio cable needed). ARC stands for “audio return channel” and this means you can connect your TV to your soundbar via a single HDMI cable which can simplify the number of cables needed (no dedicated audio cable needed). This is the best option for most consumers if your TV and sound bar are compatible. The nice part about HDMI ARC is that it is often used in conjunction with HDMI-CEC, an HDMI standard called Consumer Electronics Control. What this allows you to do is use your TV's native remote control to operate the external soundbar's volume settings thus allowing you to not need the native remote included from the soundbar's manufacturer. 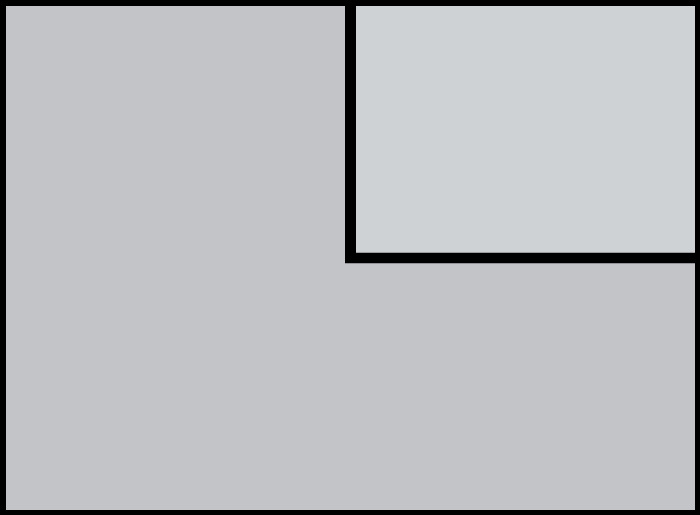 Going hand-in-hand with the HDMI ARC port, an HDMI passthrough refers to a secondary HDMI port found on the soundbar. This will allow you to run an HDMI from your content source (such as a cable or satellite box) into your soundbar then run another HDMI cable from your soundbar into television. This type of feature allows you to remove the need to connect your source receiver to your television and allows the soundbar to act as a passthrough of both audio and video thus removing the need for excess cables. Whether or not the soundbar can be mounted to a wall or other flat wall-like surface. All of the recommended models within this guide are able to be wall mounted. A next-generation, surround-sound format that is designed to compete against the popular Dolby Atomos technology. Owned by Xperi Corp (formerly Digital Theater Systems Inc.), this is a multichannel audio technology which can be licensed for use in consumer and commercial audio devices. DTS Virtual: X in a nutshell, is an object-based audio technology designed to bounce the height effects off your ceiling. This will help create better overhead sound thus providing more immersive audio. VIZIO has become a top player in the home entertainment space over the past decade. Their rise has them competing with larger, more established brands like Samsung, LG and Sony. 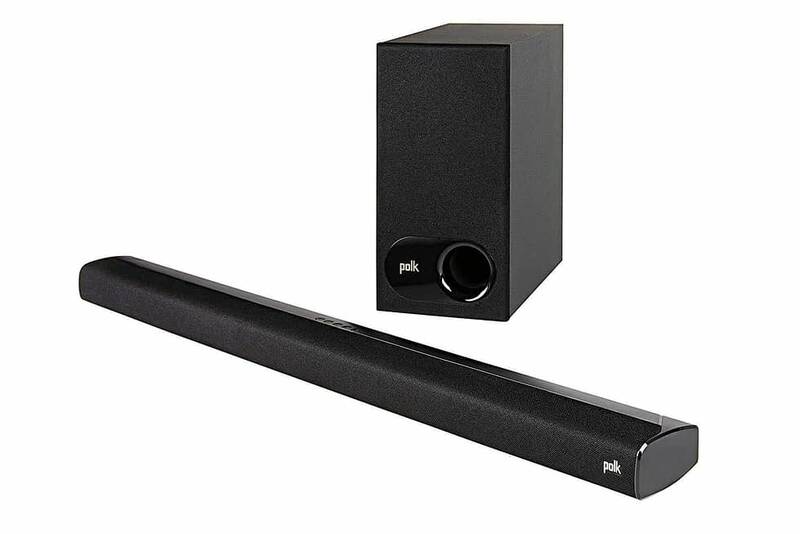 This model was our choice as the best soundbar under 200 dollars for 2019. Their SB3621n-F8M is one of their 2018 soundbar models that is exclusive to Amazon. What this means is that it is only sold through the e-commerce giant offering some serious value. VIZIO's soundbar models offer an elegant look. The design consists of a black base with contrasting silver accents on both the subwoofer as well as the 36-inch soundbar. The subwoofer operates wirelessly allowing you to place it anywhere in the room. Of course, this will still require a consistent powers source so its not truly “wireless”. It just doesn't need to be connected directly to the subwoofer. The SB3621n-F8M is capable of up to 100dB of audio with less than 1% of total harmonic distortion. Though the use of the dedicated external subwoofer, frequencies can reach as low as 50hz for stellar bass performance. 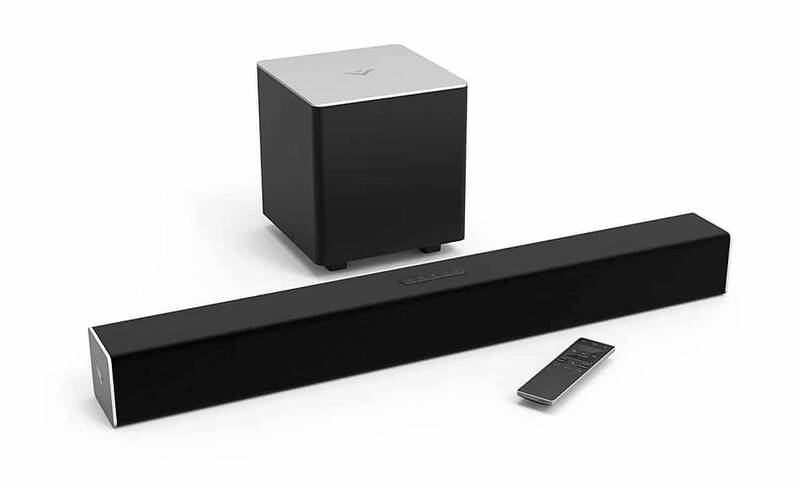 VIZIO developed this soundbar to support DTS Virtual: X. This means it is capable of virtual overhead sound for better immersion. There is support for Dolby Audio technologies, but not their newest Dolby Atomos format which is like DTS Virtual: X. In this case, LG's SK5Y soundbar has an MSRP of $279.99 which is much higher than our $200 max budget. Yet, LG has been discounting it for $100 for quite a few months now thus making this soundbar model affordable enough for many prospective buyers. For under $180, the SK5Y offers quite a bang for your buck regarding features and has a nice sleek appeal to it as well. The two-piece design offers the 35″ soundbar (mountable). Included is a dedicated subwoofer which can set on the floor near your television. The combination of these two units is how the soundbar achieves 2.1 surround sound functionality. There is built-in adaptive sound control as well as bass blast. The SK5Y supports DTS Virtual:X, DTS Digital Surround and Dolby Digital formats. Internally, the soundbar harnesses two 80W speaker drivers and the subwoofer comes in at 200W offering a total of 360W of power. Unique to this model, LG offers the ability to add two extra speakers to the rear for upgrading to 5.1 surround sound. This is done through LG's SPK8-S Wireless Rear Speaker Kit which has an MSRP for $179.99. LG's SK5Y doesn't offer as many connection inputs as some of the best models on this list (particularly the VIZIO models). It covers all the most common ones including optical, HDMI, 3.5mm AUX, and Bluetooth support. Polk is a brand that hasn't reached the household name status, but remains a respected manufacturer in the world of audio components. Their Signa S2 soundbar offers a sleek appeal that is designed to look slim (measures in at 2″ tall) on your media stand or when wall mounted. It utilizes a separate subwoofer that wirelessly connects to your soundbar for a simplified, minimal cable setup. Unique to the Signa S2 is Polk's exclusive VoiceAdjust feature. This allows you to increase the dialogue volume and vocal clarity for any movies or TV shows content. This aids the dilemma of scenes where loud background music or effects may drown out important dialogue or narration. Beyond this VoiceAdjust technology, there is also an integrated Night mode. With the press of a button, the bass output will dampen and the VoiceAdjust setting will increase without adjusting the master volume. The result will reduce the likelihood of disturbing a sleeping neighbor, roommate or family member. As expected, built-in Bluetooth support is present for wireless audio playback when connected to a mobile device or computer. Yamaha has also been involved in the consumer entertainment market for many decades. Their YAS-108 soundbar offers bang for your buck priced under 200 dollars, but falls short to the competition in a few areas. The look of the YAS-108 will be hit or miss with consumers. We tend to think it is a rather sleek single-piece design with rounded corners and a thin profile. It looks great when wall mounted under your television. Being a single piece, there is no external subwoofer included. The design utilizes two built-in subwoofers for providing deep bass built into the singular unit. While bass performance is likely enough for most, this subwoofer design will be outmatched by a dedicated external sub. If you are looking for the best bass performance then you'll likely want to choose another model with an external sub. Yamaha also developed their own signature technology which boosts the vocal clarity. This is done by enhancing the frequency ranges most commonly found in voices. While this isn't a must have feature, it is a nice addition for distinguishing dialogue from the background music or sound effects. This model is more basic than some competing soundbars on this list. You still have support for DTS: Virtual X. This offers virtual 3D surround sound while remaining affordable and compact. Sony has been a leading force in the consumer and professional entertainment industry. They harness a large presence in the TV market with 7% marketshare (third highest below Samsung and LG). Their S200F soundbar takes a similar approach to the YAS-108 with a one piece design with built-in subwoofers to offer 2.1 channel surround sound. This isn't as ideal bass performance as having a separate soundbar and external subwoofer. However, it still allows great audio performance for under 200 dollars. Unlike the YAS-108, there is no support for DTS: X or any other 3D surround sound technology. Sony implemented their lesser-known and proprietary S-Force Pro format, instead. This harnesses front surround performance that is less immersive than the 3D surround offered by DTS:X. Native Bluetooth support offers wireless playback audio from your smartphone, tablet or computer. You can wirelessly connect the soundbar to compatible Sony televisions running Android TV. This skips the need for a wired connection and offers full control of the TV/soundbar with a single remote. The second VIZIO soundbar model to make the cut for this under soundbar round-up. The SB2821-D6 offers 2.1 channel audio while remaining well under a 200 dollar budget. It doesn't have all the bells and whistles of its older sibling, the SB3621n-F8M. Mainly, the DTS Virtual: X support yet it is enough for those looking to sacrifice a few features or performance to save some money. Not only is this model the cheapest on this list, but it is also the smallest in width, measuring in at 28 inches. 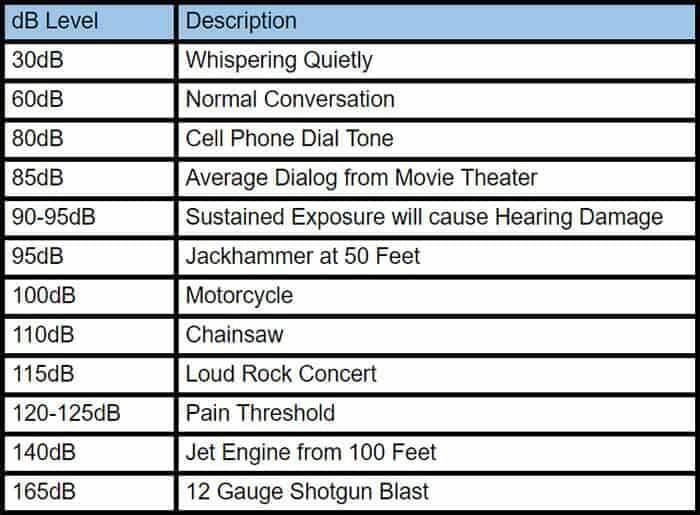 This makes it 7 inches shorter than the other soundbars on this list. It is very compact and thus able to fit on almost any size TV stand or even wall-mounted in the tightest of spots. One of the downfalls to the smaller size and price-point is the lack of the best connection options like an HDMI ARC port. This isn't a dealbreaker for many, but it'll require more cables for setup. You also won't be able to use the native TV remote control for controlling the volume levels of your sound bar. You have reached the end of this buyers guide on the best soundbars under $200 dollars. We have introduced you to the top models within this budget and given insight on what to look out for before purchasing a soundbar. Some of you have read this article and still have an outstanding question or concern about their soundbar purchase. Leave us a comment below and we will do our best to answer your question or help solve any concerns. Our team determined that the best soundbar under 200 dollars is the VIZIO SB3621n-F8M. It remains our recommended choice for most buyers, but any of the models mentioned within this list could be a good fit for your needs. Thanks for reading our guide on the best soundbar under 200 dollars!